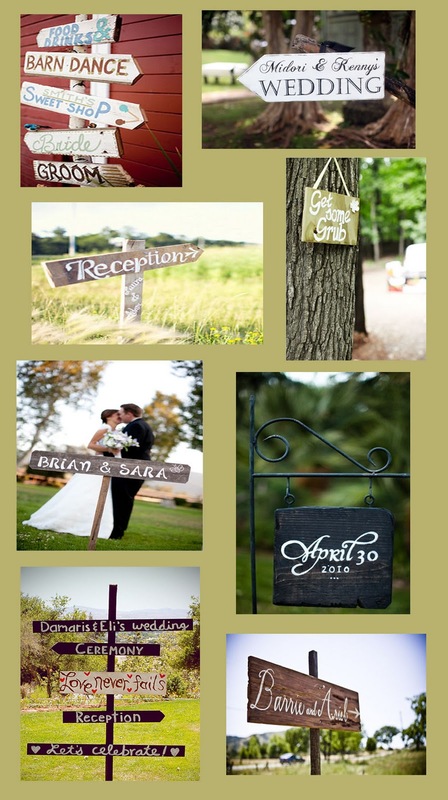 Signs are such an adorable way to personalize an event. And with DIY (do-it-yourself) becomming more and more popular, this is a great, inexpensive job for your groom, dad, husband, boyfriend, etc. Just make sure someone with good handwriting does the finishing touches!